Renewable energy sources nowadays constitute an increasingly important issue in our society, basically because of the need for alternative sources of energy to fossil fuels that are free of CO2 emissions and pollution and also because of other problems such as the diminution of the reserves of these fossil fuels, their increasing prices and the economic dependence of non-producers countries on those that produce fossil fuels. One of the renewable energy sources that has experienced a bigger growth over the last years is wind power, with the introduction of new wind farms all over the world and the new advances in wind power technology. Wind power produces electrical energy from the kinetic energy of the wind without producing any pollution or emissions during the conversion process. Although wind power does not produce pollution or emissions during operation, it should be considered that there is an environmental impact due to the manufacturing process of the wind turbine and the disposal process at the end of the wind turbine life cycle, and this environmental impact should be quantified in order to compare the effects of the production of energy and to analyse the possibilities of improvement of the process from that point of view. Thus, the aim of this study is to analyse the environmental impact of wind energy technology, considering the whole life cycle of the wind power system, by means of the application of the ISO 14040 standard [ISO (1998) ISO 14040. 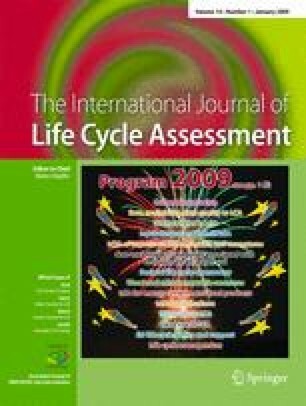 Environmental management—life cycle assessment—principles and framework. International Standard Organization, Geneva, Switzerland], which allows quantification of the overall impact of a wind turbine and each of its component parts using a Life Cycle Assessment (LCA) study. The procedures, details, and results obtained are based on the application of the existing international standards of LCA. In addition, environmental details and indications of materials and energy consumption provided by the various companies related to the production of the component parts are certified by the application of the environmental management system ISO 14001 [ISO (2004) ISO 14001 Environmental management systems—requirements with guidance for use. International Standard Organization, Geneva, Switzerland]. A wind turbine is analysed during all the phases of its life cycle, from cradle to grave, by applying this methodology, taking into account all the processes related to the wind turbine: the production of its main components (through the incorporation of cut-off criteria), the transport to the wind farm, the subsequent installation, the start-up, the maintenance and the final dismantling and stripping down into waste materials and their treatment. The study has been developed in accordance with the ISO 14044 standard [ISO (2006) ISO 14044: Environmental management—life cycle assessment—requirements and guidelines. International Standard Organization, Geneva, Switzerland] currently in force. The application of LCA, according to the corresponding international standards, has made it possible to determine and quantify the environmental impact associated with a wind turbine. On the basis of this data, the final environmental effect of the wind turbine after a lifespan of 20 years and its subsequent decommissioning have been studied. The environmental advantages of the generation of electricity using wind energy, that is, the reduction in emissions and contamination due to the use of a clean energy source, have also been evaluated. This study concludes that the environmental pollution resulting from all the phases of the wind turbine (manufacture, start-up, use, and dismantling) during the whole of its lifetime is recovered in less than 1 year. From the developed LCA model, the important levels of contamination of certain materials can be obtained, for instance, the prepreg (a composite made by a mixture of epoxy resin and fibreglass). Furthermore, it has been concluded that it is possible to reduce the environmental effects of manufacturing and recycling processes of wind turbines and their components. In order to achieve this goal in a fast and effective way, it is essential to enlist the cooperation of the different manufacturers.